This exercise introduces the “tonal abstraction” method for painters. It begins with identifying light shapes, created by a surrounding tone of about 50% gray, or equal colour; Then extensions, underlaps and individual shapes are identified in the gray space and the surrounding negative space is shaded to 80% gray, or equal colour; It is finished by adding details in the form of caligraphic marks, such as spirals, grids, lightening, numbers or letters. 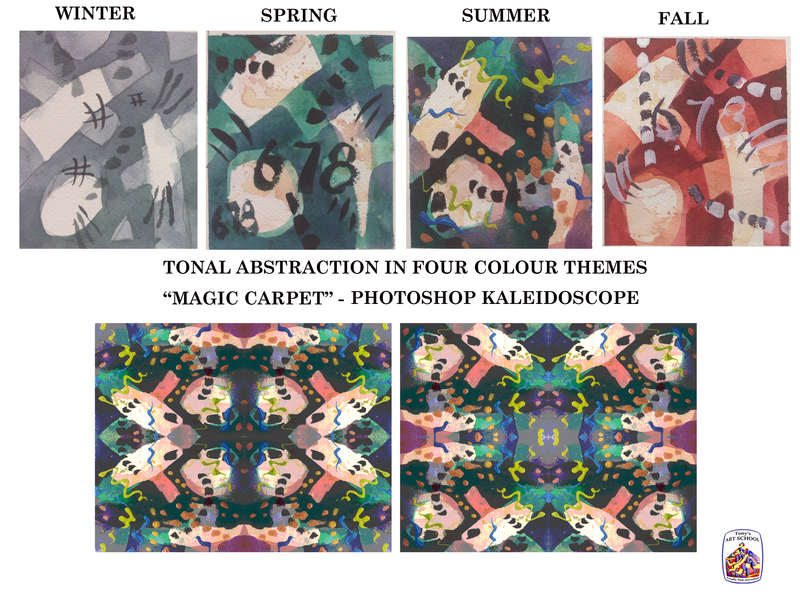 Looking at the illustration, it is possible to see how the design quality of the image can be mirrored and kaleidoscope to create very interesting fabric-like designs.